Italian life is full of pleasures. No other people in the world can enjoy an ordinary, everyday routine like eating, the way the Italians do. The cuisine is actually very simple: the quality and the freshness of the ingredients are more important than presenting the food with sophisticated side dishes. Additional sauces, for example, are almost unknown elements in Italian cooking, for they might cover the fine flavour of the main ingredient. By the way, it was Catherine de Medici from Florence, who first introduced the advanced food culture in France. With a good meal you must also drink a glass of good wine, which isn’t difficult to find in Italy! Once Italy was known to have a mass production of cheapish wine, but much has happened lately in the wine industry. Italy is still the leading country in wine production, but the quantity of really good wine has increased remarkably – who could refuse a glass of excellent Barolo, Brunello, Amarone or ‘Super Tuscan’. 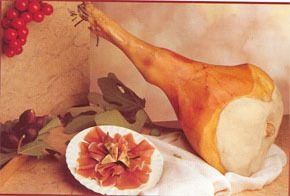 A gastronomy tour to Italy is a pleasure to your senses. 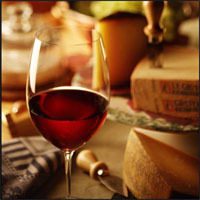 On specific tours FIVE SEASONS guide you closer to this food and wine culture in authentic surroundings. How about a one week tour with a guide around the important wine districts – such as Franciacorta, home of sparkling wines, Soave of white wine, Valpolicella of Amarone, and Bassano of grappa – connected to visits to the medieval cities, the lake district of Northern Italy, Venice the city of canals, and Verona of Romeo and Juliet. Or a tour ‘into the Italian kitchen’ – a culinary course to learn the original recipies and to have the possibility to buy the ingredients in local shops and markets with visits to the manufacturers’ premises.